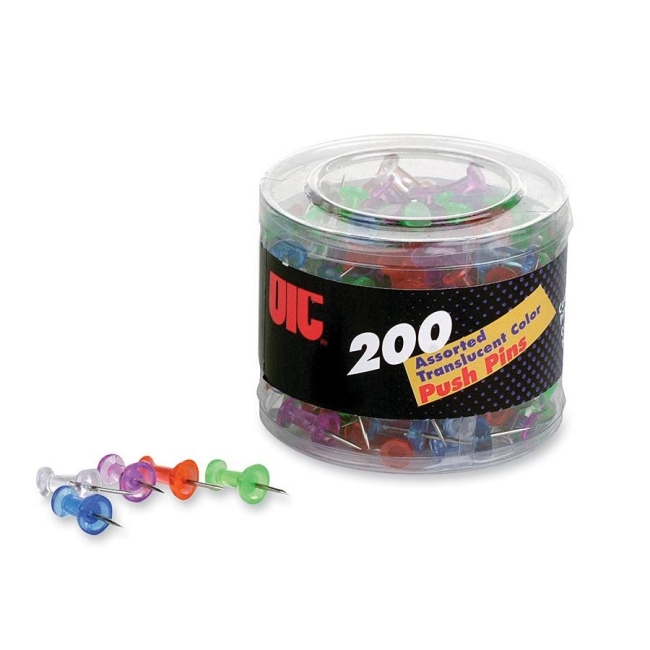 Translucent Push Pins are precision crafted with 3/8" hardened steel point. Heads are 1/2" in length and 1/4" in diameter. Assorted colors of clear, blue, purple, red and green brighten your bulletin board and attract more attention.